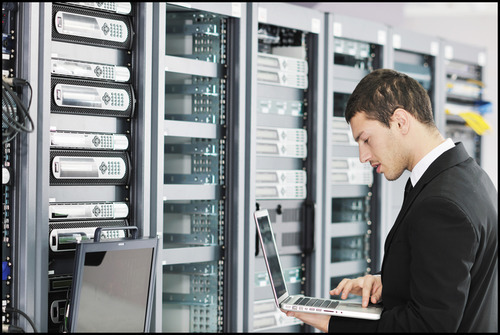 Data Vista offers 24x7x365 IT maintenance services to ensure reliability, maximum availability, and ongoing operations of our customers’ IT infrastructure. Data Visa supports most major, second, and third tier manufactures of server, storage and communications products. Consistent with our life cycle mission, Data Vista offers support for these products from the initial purchase through eventual disposal, a time period that could be fifteen (15) or more years. See Technologies and Products page for more details. Identifying the nature of the problem or failure is the critical function for IT support. Data Vista can separate a hardware failure, from a software issue, or communications, breakdown, to troubleshoot and diagnose how to remedy the problem. See Problem Management Framework for more details. Data Vista offers a variety of hardware support programs to suit most any customer’s budget or service level requirement, regardless if the request is for full onsite service, remote technical support for a self –maintenance customer, parts only, or depot type arrangement. See Hardware Support page for more details. When available from the OEM, Data Vista can obtain firmware revisions and operating system (OS) patches to support hardware modifications, correct for hardware engineering defects, or implement an OS patch. See Software Support.